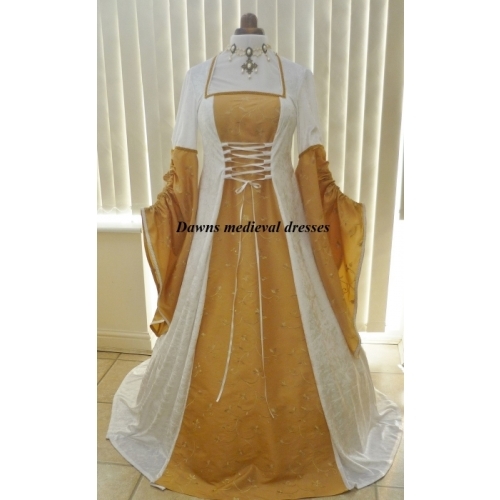 Purchased this dress for my up and coming handfasting. I am absolutely thrilled with it and with Dawn. From the first message Dawn was very responsive and lovely. The dress arrived within a matter of weeks and fits like a glove. 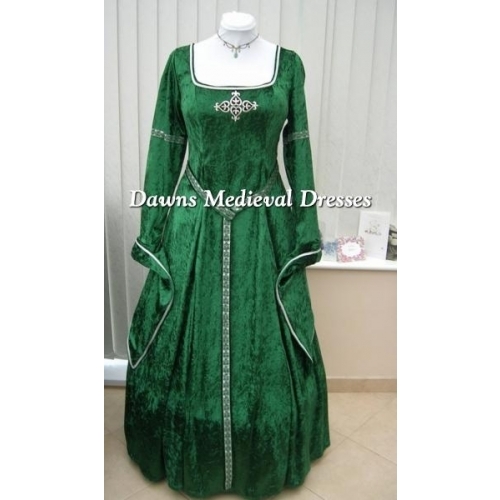 A beautiful rich green and delicate detailing on the belt and edges as well as the pattern on the chest.